Recently finished this piece looking down towards Asheville from the eastern mountains. A stunning evening as the lights popped out. 12X16’ on Canson canvas board. A year of joyful art making, experimentation and an exciting new direction. Thank you to the supporters, collectors, encouragers and laugh-makers who inspired me along the way! Happy Holidays and a 2019 with less drama and more truth-telling. There’s something strangely satisfying about starting a painting with a graduated tint. This is going to be the Blue Ridge Mountains as night descends on Asheville. It’s 12X16” on Canson board. 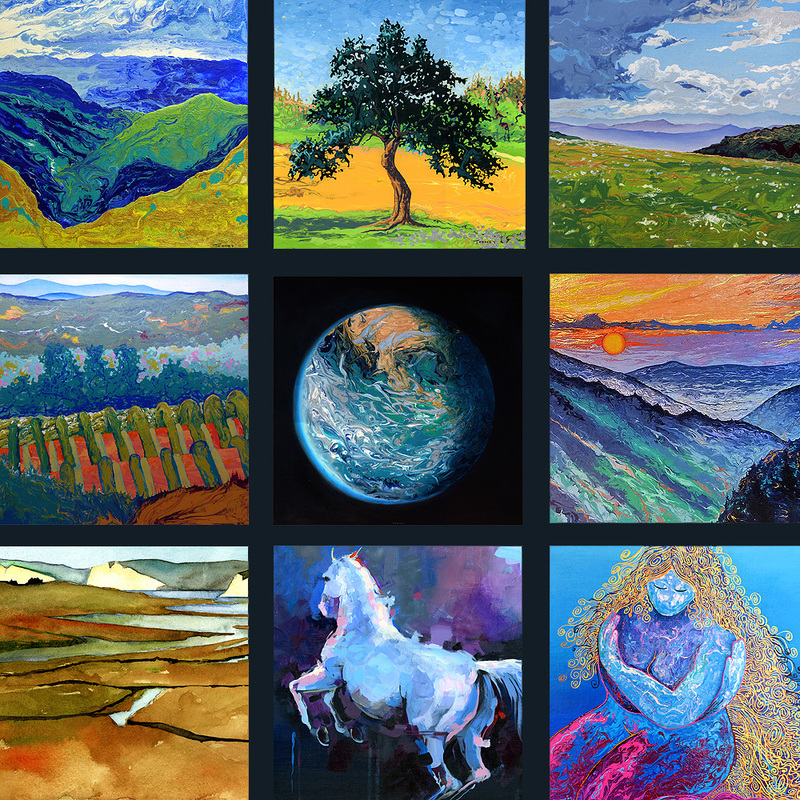 to take advantage of extraordinary savings on original artwork by Catherine Twomey. This once a year sale ends mid-December, so take a look now to enjoy deep discounts. "Grandfather Mountain Adoration" Work Completed! It’s beautiful and we love it! It’s going to look great in our living room. Grateful, thrilled and touched by the whole process. This work is moving along! It is so thoroughly enjoyable to see the vision come alive, and the paint is cooperating. Being almost August in North Carolina, however, it takes a while to dry. In this image the sun has not yet been rendered - the mountain layers will "tell" me how to show it. So grateful for this commission and support. Sunsets are irresistible. There's something about the ritual of gathering along the sea as the first hints of the day's end appear. Every second, every minute and the sky comes alive. The colors deepen, the reflections suggest watercolors and sterling silver and transitions. This is an original acrylic pour combined with handpainting. It is 12 X 12" and ready to hang.